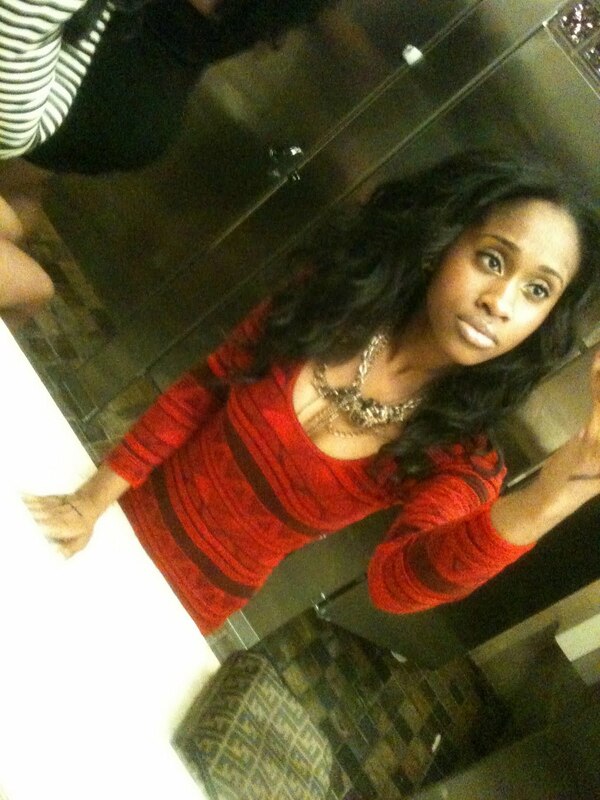 Being Bella Caramella: Lil' Wayne Concert After Party! Being as small as I am, it is usually kind of difficult for me to find things to wear to go clubbing. I love bustier dresses that have the tulle bottom but they usually make me look somewhat kiddy. I also like draped dresses but those have a habit of making me appear skinnier than I am. I usually resort to a form fitting dress to assure that I look fab and of course look my age lol. I wore this tribal print American Apparel dress in red with the mustard colored Pumpkin pumps by Asos and my vintage Fendi sling purse. I kept my make-up very simple wearing very sheer layers of Mac bronzer, Covergirl blush, and my new favorite lipstick, Viva Glam GaGa II by Mac. My jewelry was just some pink stone studs by H&M and a metal necklace that I doubled by Express.